MONTREAL, Quebec - June 5, 2018 - PRLog -- The Supply Chain Advancement Network in Health (SCAN Health) is pleased to announce the winning solution of the inaugural SCAN Health Design Competition is awarded to team TECSYS Inc. (TSX:TCS). This first of its kind competition attracted innovative solutions from Canada and around the world to advance tracking and traceability of products and care processes linked to patient outcomes for Alberta Health Services' (AHS) perioperative services. The announcement was made today by Dr. Verna Yiu, CEO and President of AHS at the 2nd Annual SCAN Health Global Networking Event in Calgary, Alberta, Canada. "Participating as the case subject of this design competition has given AHS access to a wealth of innovative ideas that have the potential to improve patient safety and quality of care," Dr. Yiu says. "AHS is looking at all areas of the health system to improve efficiencies and deliver the best healthcare possible to Albertans. That includes areas we don't often think about, such as supply chain infrastructure. We have much to learn from the industry leaders who participated in this inaugural design competition, and will look forward to considering their insights." Dr. Yiu went on to announce the winner of this year's design competition, TECSYS, a Canadian market leader of supply chain management solutions for healthcare. TECSYS' winning point-of-use healthcare supply chain solution can deliver dividends and benefits for AHS both now and in the future. To improve the performance of AHS' perioperative practice, TECSYS' solution delivers full visibility of variable non-drug, non-labour costs, elimination of operational "silos", integration with a standardized product registry and actionable data to support meaningful analytics. "We are very pleased that SCAN Health selected TECSYS for the Alberta Health Services' perioperative services design competition," says Mr. Peter Brereton, President and CEO of TECSYS. "Our team's efforts to advance the dialogue and pursue innovation around the healthcare supply chain is deeply rooted in our commitment to equip health systems with the ecosystem they need to provide patient care sustainably and safely." Design solutions were adjudicated and assessed by an international panel of esteemed judges operating in the healthcare supply chain including: Blain Newton, Vice President, HIMSS Analytics; Jackie Pomroy, former Head of Supply Chain and eBusiness, NHS South of England Procurement Services; Betty Jo Rocchio, Vice President of Perioperative Performance Acceleration, Mercy; Dr. Amrik Sohal, Professor, Monash University; and Dr. Yiu. SCAN Health thanks all teams that contributed solutions — this decision recognizes submissions based on the current design challenge. SCAN Health Design Competitions offer industry leaders and entrepreneurial companies and organizations the opportunity to access and build relationships with health systems in a unique environment. Industry partners are enabled to better understand the challenges health systems are facing and provided an opportunity to co-design an effective solution using supply chain strategy and logistics processes. Details for the second cycle of the SCAN Health Design Competition will be announced in the Fall 2018. Visit www.SCANHealth.ca for updates and announcements. SCAN Health is an international knowledge translation platform funded by the Government of Canada, Networks of Centres of Excellence (NCE) and hosted by the University of Windsor's Odette School of Business. Spanning five countries, including Australia, the Netherlands, the United Kingdom, the United States and Canada — and with over one hundred partners from industry, healthcare, government and academia — SCAN Health will advance global capacity to adopt and scale best practices in healthcare supply chain to offer traceability of products and care processes from bench to bedside to patient outcomes. 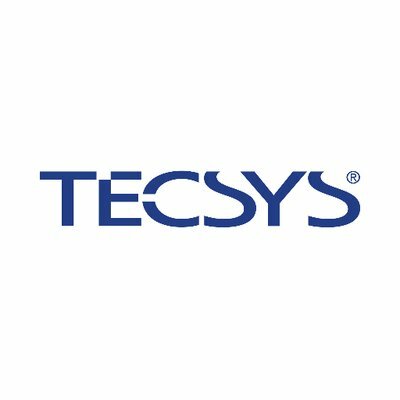 TECSYS provides transformative supply chain solutions that equip our customers to succeed in a rapidly-changing omni-channel world. TECSYS solutions are built on a true enterprise supply chain platform, and include warehouse management (http://www.tecsys.com/supply-chain/solutions/warehouse-ma...), distribution (http://www.tecsys.com/supply-chain/solutions/distribution-management/) and transportation management (http://www.tecsys.com/supply-chain/solutions/transportation-management/), supply management at point-of-use, as well as complete financial management and analytics solutions. Customers running on TECSYS' Supply Chain Platform (http://www.tecsys.com/supply-chain/solutions/platform/)are confident knowing they can execute, day in and day out, regardless of business fluctuations or changes in technology, they can adapt and scale to any business need or size, and they can expand and collaborate with customers, suppliers and partners as one borderless enterprise. From demand planning to demand fulfillment, TECSYS puts power into the hands of both front line workers and back office planners, and unshackles business leaders so they can see and manage their supply chains like never before. TECSYS is the market leader in supply chain solutions for health systems and hospitals (http://www.tecsys.com/healthcare/). Over 600 mid-size and Fortune 1000 customers trust their supply chains to TECSYS in the healthcare, service parts (http://www.tecsys.com/supply-chain/industries/serviceparts/), third-party logistics (http://www.tecsys.com/supply-chain/industries/3pl/), and general wholesale high-volume distribution industries. TECSYS' shares are listed on the Toronto Stock Exchange under the ticker symbol TCS (http://tmx.quotemedia.com/quote.php?qm_symbol=TCS).